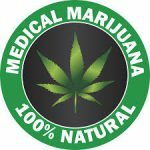 Home » Reviews » Natural Remedies » What Is Medical Marijuana? Can It Really Help? What Is Medical Marijuana? – And How Can It Help? If you’ve been following the news lately you may have noticed that in several places around the world Medical Marijuana has become legalised. But what is Medical Marijuana? How does it differentiate from the street drug? Who can it help? 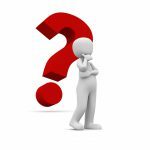 Let’s take a look and try to find some answers….. Pain is the main reason people use Medical Marijuana, it could be pain from terrible headaches, glaucoma, cancer, or nerve pain. It also helps patients suffering from Multiple Sclerosis, HIV, and Crohn’s disease, as well as many other chronic diseases. 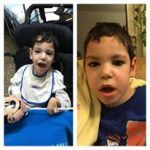 The main reason which particularly hits home for us personally is the potential that medical marijuana has to help with Natan Shai’s Epilepsy. 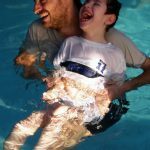 I feel that Medical Marijuana could also help my son with his Cerebral Palsy, which leaves him in such pain from muscle tightness. I’ve been contemplating this idea of giving him Medical Marijuana, Hemp Oil or CBD Oil for some time now and I have heard of several cases of children like ours who could definitely benefit from it. 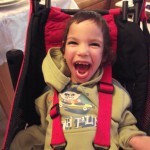 Just take a look at this video of a child like Natan Shai who was helped by Medical Marijuana. Definitely worth a talk to the Neurologic doctor right? Well, I did actually put it out there, but to my dismay, Natan Shai’s Neurologic doctor didn’t even want to talk to me about it! Let alone give me a prescription!! So I’m on the search for a new doctor I guess! I’ll keep you posted. At least in Israel Medical Marijuana is legal as long as you can get a prescription. I know some countries and States are still fighting for this to be legal. Such a shame. It could help so many people. So What Is The Difference Between The Street Drug and Medical Marijuana? Marijuana has two important components: CBD and THC. CBD is the component that does not cause a ‘high’ or ‘euphoric’ state. So the Medical kind is actually exactly the same as the street drug, but in some places, it is also grown to be low in THC and high in CBD. This range will differentiate according to the needs of the person and may also need to be adjusted accordingly. That is why a good Neurological doctor will be able to help you decide what is right for your child. Each case is totally different. I Don’t Smoke – How Else Can Medical Marijuana Administrated? As we saw in this video this little boy was given drops, which could also be administered via a feeding tube just like any other medicine. It could also be eaten (in cookies or other food), or vaporized (heated to release the active ingredients), it is also used even as a skin cream. 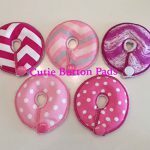 Each way it is used will have a different effect so it is important to discuss with your doctor which one is the best for your particular case. What Is Hemp Oil? Is It Related To Marijuana Oil? In the plant world, Marijuana and Hemp are cousins. Marijuana consists of very high levels of THC ( the stuff that gets you high) and Hemp doesn’t. Hemp oil is made from extracting the oil from the seeds of the Hemp plant, and is completely legal. To start with, since you don’t need a prescription and because of the fact that it is legal and much more cost-effective, I would suggest trying a cold-pressed, organic hemp oil to see how that can help. A naturopath can help you with daily dosages. This is what I am going to try in the meantime with Natan Shai and I’ll keep you posted on how it helps. So I hope you’ve been enlightened about Medical Marijuana. Please feel free to leave comments or ask questions below. I enjoyed your post. I have lived in Colorado in the US where marijuana is completely legal and I have heard many many stories about the remedies that medical mj can provide. I have seen many children that were exactly like the child in the video. The drops can be put into anything and I would like to hear more how the drops could be used to help adults cope with different conditions. Yes, unfortunately it’s not legal everywhere, but it’s getting there. I think it could help so many ailments but will take a lot of money away from the Medical Industry which is why it is being stopped in so many countries and States. The Medical Industry is a multi-million dollar business and they are fighting to stay alive so to speak. Very interesting article. 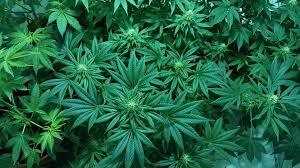 I believe there are huge health Benefits and cures that can be derived from the use of maijuana. I’m just a but confused. Is Medical maijuana also a natural plant or is it specifically cultuvated to produce the medicinal requirements that is needed for medical use? If it is a natural plant how do we distinguish visually between the two? Hey George, That’s a very good question. There are several different types of strain available including Indica, Sativa, and hybrids, each of which have varying amounts of the active ingredients THC, Cannabinol, and Cannabidiol (CBD). The different strains of Indica and Sativa also have different smells, tastes, and potencies. Only an expert would be able to know the difference by just looking at the plant. So depending on your illness your doctor would prescribe you the right strain. Here in Israel Medical Marijuana is grown specifically for that purpose. From what appeared in the video, the administration of medical marijuana is harmless. However, how can one differentiate between a leaf of the one that contain CBD and THC? I am asking this because in practice, I will want to adopt any of the options when I know that will save my child. So long as it brings him to a healthier condition. Hey, thanks for visiting my site 🙂 They answer to your question is that only the administrating doctor would be able to prescribe the right amount of Medical Marijuana which would have the right amounts of CBS and THC. A person by himself should not try to make ‘home made’ remedies or anything similar. Besides the fact that it’s illegal to do that you could also harm your child. Great article. I think that medical marijuana has been a blessing for so many people and can alleviate many different conditions including mental health and autoimmune diseases. It’s such a shame that it’s illegal and it’s just amazing how ignorant the US DEA is since they still claim that it has no medicinal properties. Yes, absolutely Ian. I think it all has to do with money unfortunately. Medical Marijuana could help so many people that traditional medicine would get thrown out the window, so to speak. Governments make a lot of money from the medicine industry. Hoping things will change down the line. A very useful post for all those persons who could use medical marijuana for medicinal uses. It is real shame that it is banned in most of the states in the US thus making it very difficult to be used as a medicine even though it has high levels of CBD. The post however, names Hemp Oil as an alternative to Medical Marijuana which is legal throughout the US and hence, will be sigh of relief for many. Will be interested to know about your experiences with the Hemp Oil in one of your future posts in tackling your sons’ cerebral palsy. Hi Alok! Yes, it’s a shame that it’s not legal. It’ still a new concept (even though it’s actually thousands of years old). 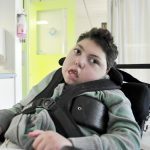 Natan Shai has actually been accepted for Cannabis research which I hope will prove that it helps him. I’m going to be making a series of posts on how that goes. The first post you can see it here. Stay tuned 😉 I am sure this will be a big medical break through for children like Natan Shai. 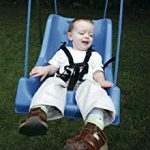 ← Hydranencephaly Definition – What Is It?